Give a hand up -- help someone learn to read. Peter Thompson, a volunteer tutor, works with a student one-on-one to help achieve her literacy goals. Click here to view our contact information or to leave us a message and we will contact you! We will ask you to fill out a Volunteer Data Sheet and complete either the Background Check or References form. Once you connect with Joplin NALA Read, you will be invited to a free tutor training. At the training you will gain new skills but will also learn to capitalize on the skills you already possess. You will get an overview of the programs we offer and will find out what you can expect and what’s expected of you. If for any reason the program does not suit you, you are under no obligation to become a tutor after taking the training. Step 3: Let the tutoring begin! Following the training you will be matched with an adult who wishes to improve his/her basic reading and writing skills. Together you and your learner can schedule a time and a day that is convenient for both of you. 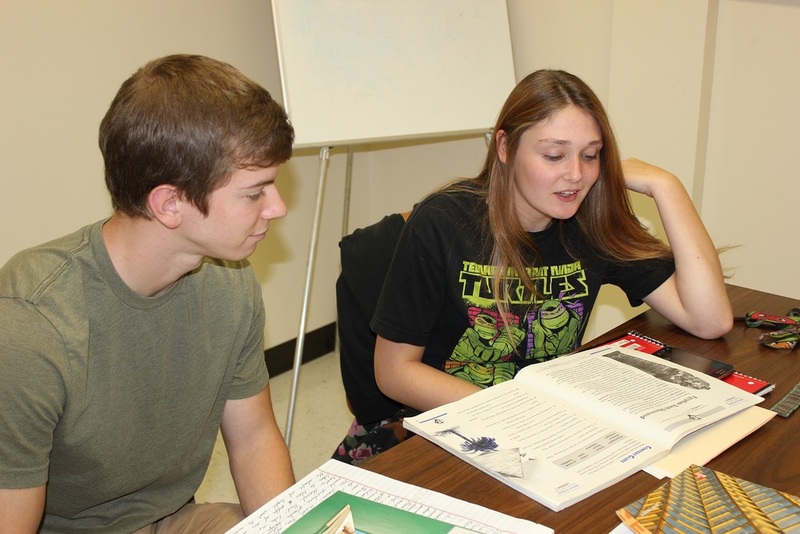 Typically tutors and learners meet once or twice a week for about an hour in one of the classrooms at Joplin NALA Read. Joplin NALA Read staff are there to support you with any of your tutoring needs: books, materials, support, and guidance. If for any reason you do not feel comfortable with your adult learner, just let us know and we will work with you to re-match you with someone else.